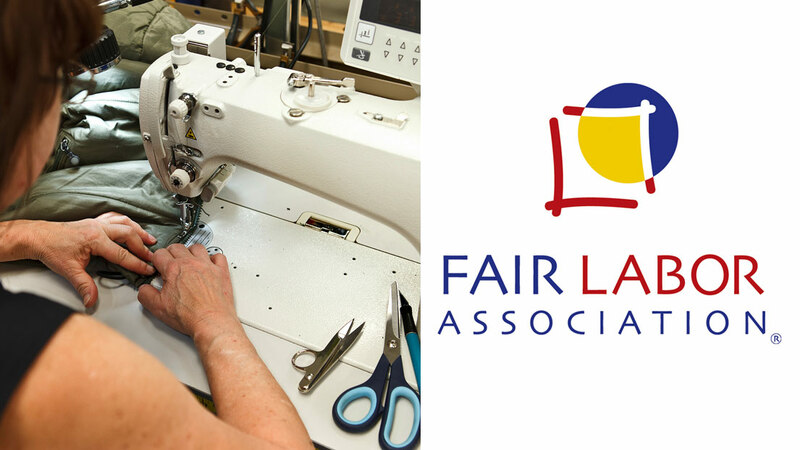 Patagonia is a member of the Fair Labor Association (FLA). The FLA is a multi-stakeholder initiative including companies, colleges, universities, and non-governmental organizations working together to improve workers' lives. The FLA complements the efforts of the International Labor Organization (ILO), national governments and labor relations systems by ensuring that participating companies, licensees, and suppliers observe a workplace code of conduct throughout their supply chains. The FLA acts as a third-party monitoring organization and publicly discloses the findings of audits in its members’ factories. The FLA contracts with accredited monitors to conduct independent monitoring of the companies’ contract facilities, requires companies to remediate problems identified in their facilities, and independently verifies and accounts for company internal compliance programs. The Fair Labor Association Board of Directors comprises 19 people – six representatives of brands (including small and large brands), six university representatives, six NGO representatives, and an independent chairperson. Unpacking the best model for ethical sourcing is incredibly complex. Verifying good factories, communicating expectations, and creating sustainable solutions to improve workers’ lives requires collaboration from every stakeholder involved. The FLA provides such space. In 2001 Patagonia became a Participating Company in the FLA. As a participating company, we agreed to adhere to the FLA Workplace Code of Conduct and ten company obligations. (See below: Obligations of Companies) This includes carrying out a rigorous internal monitoring program, as well as submitting to unannounced, Independent External Monitoring Audits of up to 5 percent of our factories each year. Membership in the FLA provides us with access to its extensive expertise in monitoring, training and research. The FLA posts the results of its random audits on its website for everyone to see as part of its commitment to transparency. Members of the FLA are measured on their performance of each of the company obligations. Should the company fulfill each of the requirements, their program may be accredited for three years, after which their program is assessed again for re-accreditation. Patagonia became a fully accredited member of the FLA in October, 2008. As an Accredited Member we are subject, as are our suppliers, to unscheduled audits. Our accreditation comes up for renewal in October. Check out a recent blog we published regarding the FLA auditing Patagonia! provide the FLA with an accurate, up-to-date factory list, factory profile, access letters etc. We encourage you to check out the Fair Labor Association website.